Marriage today can be hard work. No one says it lasts forever and no one says its easy. Some days its easy and other days it can be difficult. This life is filled with challenges and I have had the opportunity to take the 50 Fridays Marriage Challenge. Do you want to challenge your marriage? Do you want real and practical advice? Are you worn out? Tired of being tired? Sick of fighting with your spouse? 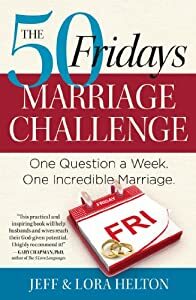 The 50 Fridays Marriage Challenge is one question a week that you read on Fridays. Throughout the week you think and discuss the question. Some of the questions are..
-What is your defination of intimacy? -How do you use words in the midst of conflict in your marriage? -What was the best thing that happened to you this week? -How are you giving love in your marriage? I really like this idea and challenge. It's like a small devotional that takes 2 minutes to read and would be such a great way to sharpen your marriage. Would you consider the 50 Fridays Marriage Challenge? 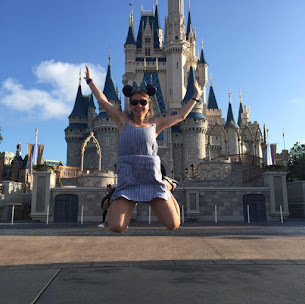 Disney Land Part 2- Magic Kingdom My Favs.